Create a LARP character of your own design with the Dark Warrior Arm Bracers shielding your forearms. Whether you become an undead soldier of the netherworld, or a ruthless mercenary, these bracers prove their worth during combat. 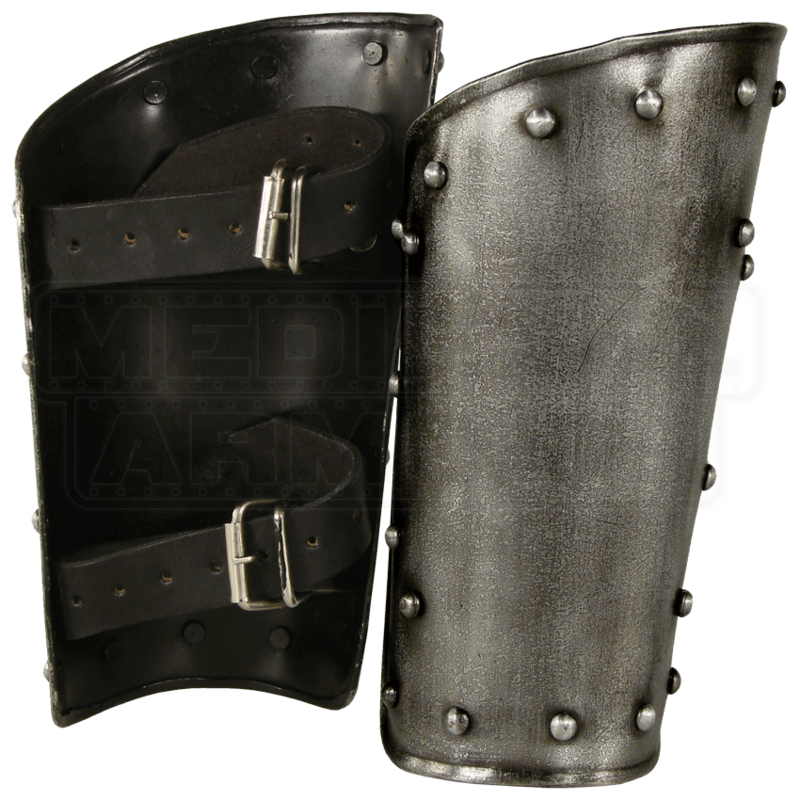 Crafted from 18-gauge mild steel, these arm guards possess rolled edges and rivets for increased deflection capability. An oxidation resistant coating not only provides a dark metal finish, but aids in rust and scratch prevention. Each bracer features two adjustable buckle straps for a comfortable, secure fit. 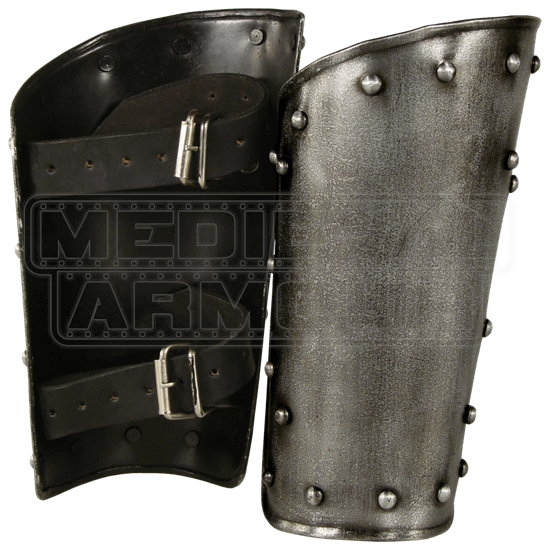 The traditional, simple design of the Dark Warrior Arm Bracers makes them suitable for both historical and fantasy roles. Take on the guise of a dark knight by matching this set with the rest of the Dark Warrior armour pieces.